Dennis Yu wrote a terrific post that opened my eyes about Facebook advertising conversion tracking. If you haven’t already, make sure you read it first. I’ve labeled 2013 as The Year for Tracking Success, and this new tool from Facebook needs to be added to your arsenal. First, let me be clear: You will initially be overwhelmed and confused when you read about Conversion Tracking. Second: It’s actually not that complicated. Sure, there are some advanced ways that you can apply Offsite Pixels that include Google Analytics. At that point, it does get a bit more complicated. But the actual creation and application of an Offsite Pixel is actually quite basic. I’m convinced that anyone can do it. Read the following steps or watch my video tutorial at the bottom to learn how and create your own Offsite Pixel today! Before I get to how you can create your own Offsite Pixel, it’s necessary to take a step back and provide a little background. A conversion is an action that a person takes on your website such as checking out, registering, adding an item to the shopping cart, or viewing a particular page. Virtually any page on your website can represent a conversion, and you can create and add the conversion tracking code on any page of your website. In a Nutshell: With the help of a piece of code (Offsite Pixel) that Facebook provides and you place on specific pages of your site, you can track much more than simple clicks to your Facebook ads. You can now track conversions. Additionally, with the help of Optimized CPM, Facebook will show your ad to people most likely to perform the desired actions (checkouts, registrations, leads, key page views, adds to cart or other website conversions). Finally, you will be able to track the success or failure of your campaign based on actual results. Don’t be scared. 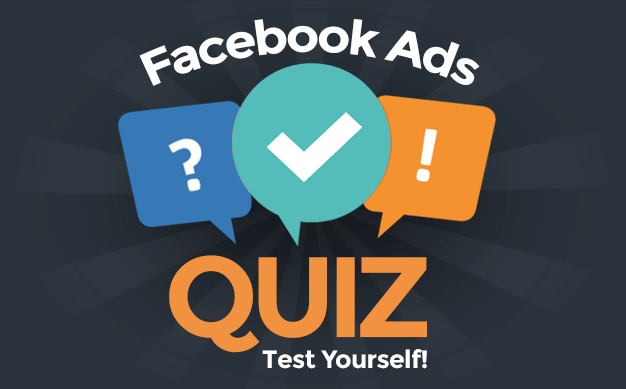 It’s a simple and free tool, a Chrome plugin used instead of the self-serve ad tool to create and edit your Facebook ads. If you’ve never used Power Editor before, go here first for a quick tutorial. You currently need to use Power Editor (or a third party tool that uses the Facebook ads API) to create an Offsite Pixel, though you can technically use the self-serve tool to select Offsite Pixels for your ads later. But this tutorial will be focused entirely around Power Editor to keep it as simple as possible. After selecting a category, click the “Create Pixel” button. Here is a screen grab for reference. You will now see a message indicating that your Conversion Pixel has been created. Select all of the code within the box and Copy it. After copying and closing the code box from the step above, you’ll notice that the pixel status is “Unverified.” That’s because the code needs to be placed on the page of your website that would indicate a conversion. This should all start to make sense now. When you run an ad that drives people to a product page, for example, you want Facebook to be able to report when that ad resulted in a purchase. You do this by placing the Offsite Pixel code on the page that would be displayed immediately after purchase. This is an important distinction. It will go between the < HEAD >< /HEAD > tags on the page that indicates success. It shouldn’t go onto all pages or even the landing page for your product. It should go on the page that would be shown when the transaction is complete. Where this is done will depend on your CMS. My website is built on WordPress, and more specifically on the Genesis Framework. At the bottom of my Theme SEO Settings for an individual page or blog post, I have a box for Custom Tracking/Conversion Code. I also build landing pages with Premise. There, too, there is a box for Header Scripts. Essentially, your theme or CMS should allow you to edit header scripts. This is where you paste the Offsite Pixel that Facebook gave you in the step above. 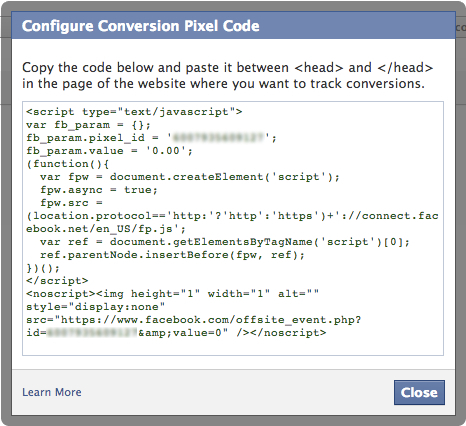 Once you’ve added the pixel, refresh the page that has the Facebook code in it. Then go back to the Conversion Tracking area of Power Editor to confirm that your pixel is now Active. You may need to refresh Power Editor. Now you create your ad as you typically would, either within Power Editor or the self-serve ad tool (I’m going to assume you are creating your ad in Power Editor). From the Creative tab of the ad create flow, the final option will be to select an Offsite Pixel. Simply check the box and select the appropriate pixel for this ad. Now when you view the performance of your ad within the self-serve ad tool, the “Actions” will actually represent conversions, giving you a much clearer picture of success and making it easier to measure ROI. Now go try it. 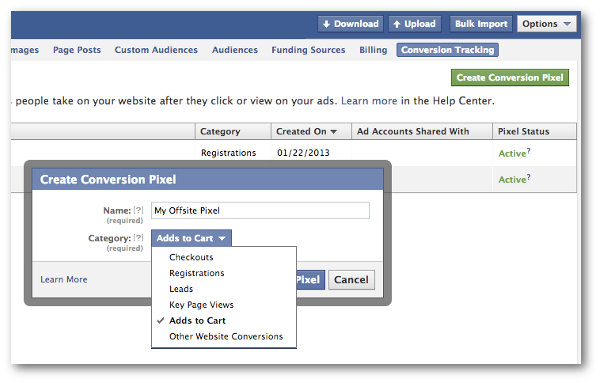 Create your own Offsite Pixel and track conversions of your ads. Let me know how it goes in the comments below!